Officially it is the first electric 7-seater car of the world. It is the new discovery originates by Nissan. 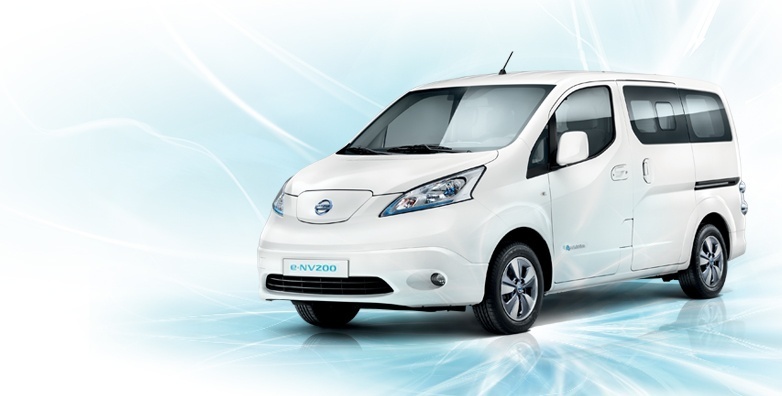 Nissan’s e-NV200 is made to fulfil the purpose of business and also for the larger families. It is very comfortable extremely quite. Nissan’s new electrical car brags so much inspiring because its gives luggage space for 2940 litres when all the seats have been forward and folded except the seats of the driver and front passenger. That luggage space figures some drops to 870 litres even when all the seven seats are erect and carrying people. It means that it has sufficient space for people and storage for a long family vacation. It takes only 30 minutes for recharge up to 80% and this top-up can cover the distance of 106 miles i.e. 170 km. After that, it needs a recharge. Besides this, it has an Evalia option that means the car has a reversing camera, cruise control, air conditioning. The electric car also contains a navigation system and also Bluetooth support for a Smartphone. It’s had wiper & auto-on headlights. Nissan invests heavily to improve the charging infrastructure in its native country, Japan chiefly in and around major cities and also across US and Europe because this time they are fully conscious about the range-based faults of the vehicle. This car is also known as an eco-friendly car because it doesn’t produce air pollution as it runs on electricity. Most of the cities are going to be a low emission zone to fight against air pollution. So, to drive an electrical vehicle even to deliver the goods as well as visitors will be the only solution. Nissan’s e-NV200 expediency as a family transporter will rise over time but it could already be the perfect vehicle to fulfil the purpose of business.